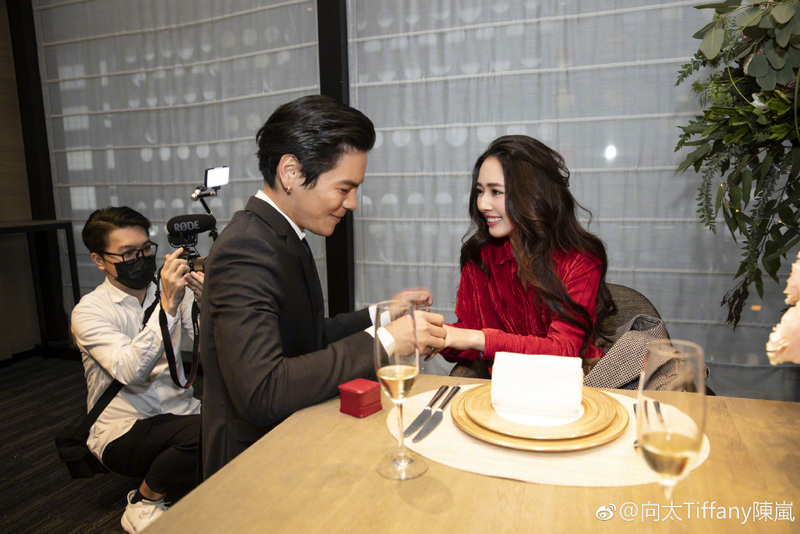 News of Jacky Heung and Bea Hayden Kuo's engagement came ahead of their actual announcement after reports that he had already proposed at Humble House Hotel in Taipei on March 17th. 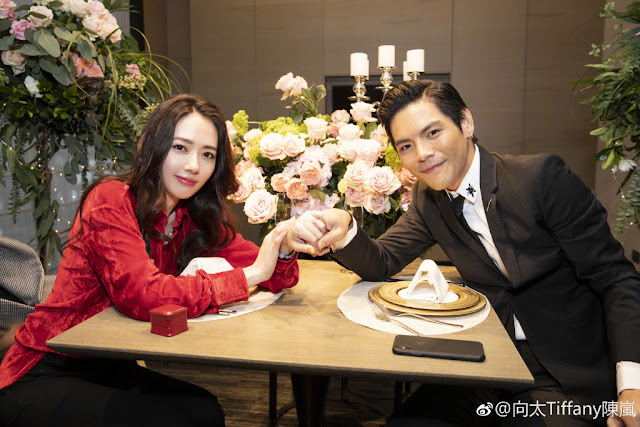 The two started dating after participating at the Chinese reality show The Most Beautiful Times. She brought her dad and he brought his mom. Even during the show, Jacky Heung's mom Tiffany Chen often doted on Bea Hayden. Tiffany Chen was also the one who announced that the two were dating back in January. 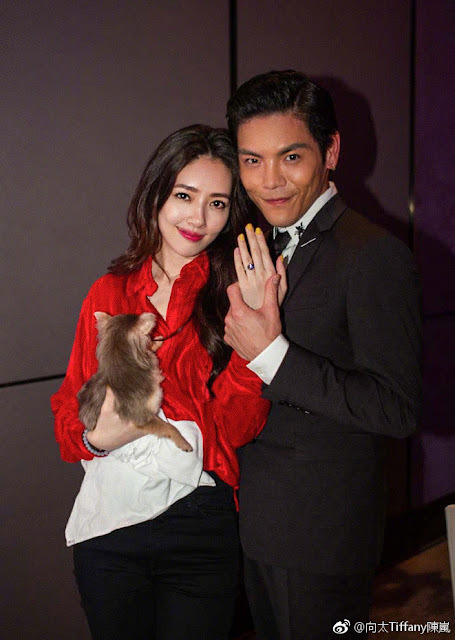 Three months down the line and Jacky Heung's mom is again the one to confirm the big news. She shared photos that documented the entire proposal including Bea happily wearing her new bling after saying yes. 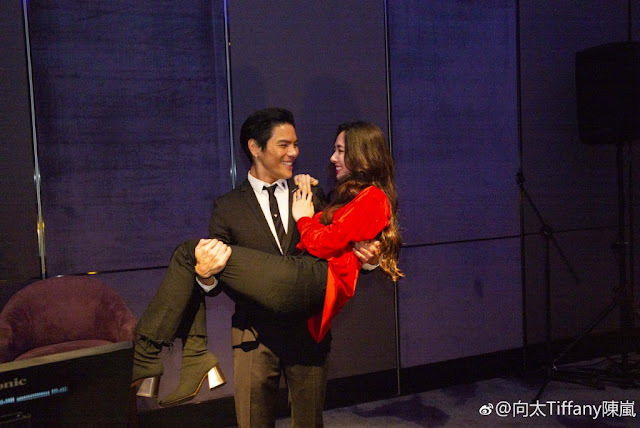 Jacky Heung had invited friends and family to attend the party to witness the romantic moment. Apparently, he proposed at exactly 5:20 which also means I love you. The newly-engaged couple also snapped photos with their parents. 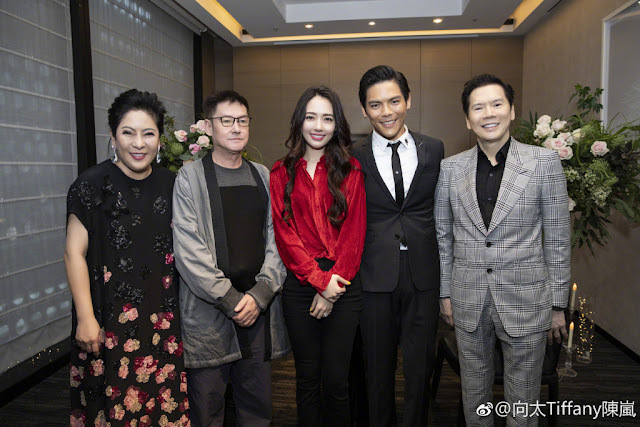 Among them is his father, Charles Heung who founded the Hong Kong film company China Star Entertainment Group. You may reocgnize him as Lung Wu from God of Gamblers. Congrats to the happy couple!